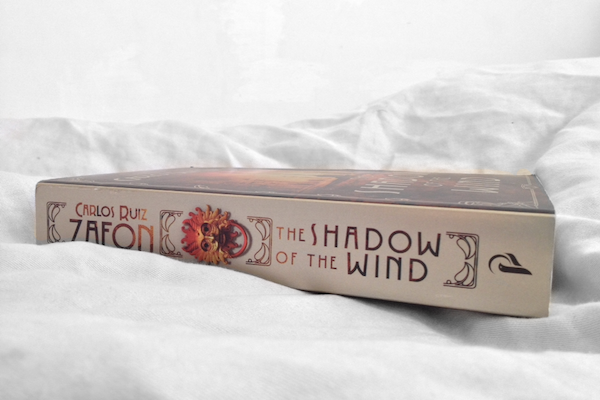 My first read of 2015 was The Shadow of the Wind by Carlos Ruiz Zafón: a lyrical and harmonious serenade to literature itself. Concealed amongst the thrill and the enchantment, stowed away between the ink-blotted pages of long-forgotten books, and hidden within the shady alleys of Barcelona, lay a simple truth. A truth lurking on the very first page: this is a book which will remind you why you love reading. It's within books like these – books about books, and books focussed on the introspective nature of books – I begin to ask myself questions about these weird inked scribbles and what they show us. And, across the years, perhaps through reviewing, or maybe just a pure adoration for the written word, I've subconsciously developed my own way of looking at books. And it starts with a question: if you placed a book in front of a mirror, what would it reflect? Would it reflect a ghoulish viridian glow? Or a boulevard of fallen leaves? Perhaps the image would be blurred? Or maybe pigmented with a specific emotion? And what else do you see? Frost or flame? Or somewhere in between? It's possible the book's so infinitely dull the words reflect no meaning. Or perhaps the book's so endlessly interesting, its reflection is but an undecipherable eruption of chaotic tones. Now, this is something I think about far too often – but it's also a fascinating study. I mean, what do the words really reflect? I guess it's the reader's turn to delve deeper, and deeper still. Do you ever think of books in a somewhat similar way? You've really got me thinking with this post! I guess it depends on the reader - like your own reflection. WHen you old a book in front of a mirror, everyone sees something different. It could be love, hate, or a realm of possibilities. That's a really intriguing review (in a good way). This book is definitely floating around the house so that's another book to add to my TBR. I don't think I'll read it for a while though, because I'm reading The Bone Clocks (new David Mitchell book) and after trawling through the 600 pages of that I think I'll have to take a break and read something nice and easy. I think a lot of books would have a blurred over reflection. There's so much in them, so many layers... Possibly they would reflect a mosaic of different coloured blurs. Carlos Ruiz Zafon does have this mystical qualities with words. I recently read Marina (which I highly recommend). I think words reflect the inner most musings of the author/writer. They are the words people afraid to say aloud. Marina sounds so good! I'm planning to read The Watcher in the Shadows soon. :) And that's a lovely idea – "the words people are afraid to say aloud". I tried to listen to the audiobook of The Shadow of the Wind but I couldn't get into it which was disappointing because I have heard great things. I don't think I've ever thought about books in this way before but it's definitely an interesting idea!